Whatever Happened to the "On the Buses" Cast? Further to my recent article outlining the life and times of British comedy icon, Reg Varney (link above), I have found some fascinating footage of the cast from On The Buses, being interviewed by Terry Wogan on his BBC TV show in 1990. It does beg the question as to whatever became of the actors whose antics used to make us laugh every week? Reg Varney (as Stan Butler) - is covered in the article linked above. Doris Hare (as Stan’s Mum) - Welsh actress Doris passed away in May 2000 at the grand age of 95. She was at one stage, offered the role of Ena Sharples (later to be made famous by Violet Carson) in the long running Granada TV soap, Coronation Street. It is generally forgotten that Doris was not the original actress to play the role of Mum. Australian born, Dame Cicely Courtneidge, played the part in the first (black and white) series in 1969. Anna Karen (as Stan’s sister, Olive) – South African born Anna actually worked as a striptease dancer at London’s Panama Club in her younger days. Later to pop up occasionally as Aunt Sal in the BBC’s soap Eastenders, Anna, now 75, lives in Essex and still teaches drama at a Hornchurch theatrical school. Michael Robbins (as Stan’s Brother-in-Law, Arthur) – Formerly a bank clerk, he started working as an actor, after appearing in amateur dramatic productions in the Hitchin, Hertfordshire area, north of London. He was to be seen in many British TV dramas and comedies during the 1960’s and 70’s, such as Minder, Z-Cars and Doctor Who. He died from cancer in 1992 at the age of 62. Stephen Lewis (as the Inspector, Blakey) – Born Stephen Cato, he began his working life as a merchant seaman, but left to pursue a theatrical career in his early twenties.. He and Bob Grant wrote a number of the later episodes and in fact the character of Blakey, played by Lewis, went on to become the main character in the last series of the sitcom, when Reg Varney left. Lewis went on to star in an "On The Buses " spin-off entitled Don't Drink the Water, where he and his sister (played by Pat Coombs) went to live in Spain. He appeared in many British comedy shows after the end of “On the Buses”, noteably in Oh Doctor Beeching, The Foster’s and famously as Smiler Hemmingway in Last of the Summer Wine. He also had a part in the 1990 biopic of "The Krays". It was announced today that Stephen Lewis had passed away (13th August 2015). According to the BBC report (available by clicking HERE) he was 88. RIP Stephen. During the interview, it is mentioned that there were plans to re-unite the cast in a new TV series. The idea was never taken up by London Weekend TV however. What are your memories of On The Buses? Did you know or ever meet any of the cast members? PS Trivia question answer: Arthur (and Olive's) surname was Rudge. Whatever Happened to the "Are You Being Served" Cast? Larry is best remembered for the period in the 1970's where he came (back) to fame and was the 2nd host of BBC TV's "The Generation Game". Replacing Bruce Forsyth, who went on to a short lived variety show on ITV, Larry took the show to new heights with his hapless, hopeless style of presenting. Larry was a marvellous comedian. The master of camp and inuendo, he could make an audience howl with laughter just by raising his eyebrows or making a quick quip. It is truly impossible to do a career justice with either a short 900 word article or a 10 minute video as posted below. The video gives an insight into how he was plucked back to stardom with the help of legendary drag artist, Danny La Rue and goes on to explain how he was hounded by the press, desperate to know his sexuality. In this age it wouldn't have been an issue, but back then things were grossly different. Larry, who learned his trade in the harsh UK working mens club circuit, truly was a comedy genius and watching the footage both brings back memories and still makes me laugh. Sometimes I see newspaper stories that really annoy me. Today's front page headlines in the UK's Sunday Mirror is one such piece. Apparently she is withdrawing from the world of celebrity and doesn't know when she will be back. It really must be a hard life, singing a few songs and poncing about on the UK's X-Factor. I had to laugh when she got the heave-ho from the US version, for the fact that very few Americans could understand a word she said. Well let me tell you, we in the UK can't understand her either (except those from her native north-east). That probably had a lot to do with it, but maybe she also got the bullet because nobody in the US has a clue as to who she is? I might have some sympathy if she worked in the NHS as a nurse or doctor, being run off her feet, working very long hours. I might be sympathetic if she was a carer looking after sick children. I might give a damn if she was unemployed and had a family to care for, not knowing where the next meal was coming from. But Cheryl - I, and millions like me, don't give a stuff about you and your so called stress or whatever you want to call it. Wherever you go and whatever you do, please do us all a favour and stay there doing it, permanently. You find Tatty in quite a good humour for once. No grumbling or grouching from me at the moment (well not much anyway). 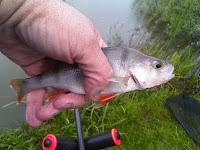 The UK coarse fishing season has started up and the rivers are open again. OK, I am fully aware that there is no close season on most stillwaters in this country anymore and I have had the odd day or two on the bank in the last 3 months (during the close season), but nothing can beat sitting by the river, rod in hand, trotting a stick float through a swim, hoping that a large Chub, or even better, a barbel will pounce. I am very lucky living here in Central Bedfordshire. This area is not known as big fish country for nothing you know. The River Great Ouse and the River Ivel both flow through close to my home, giving me some of the best sport available in the whole country. 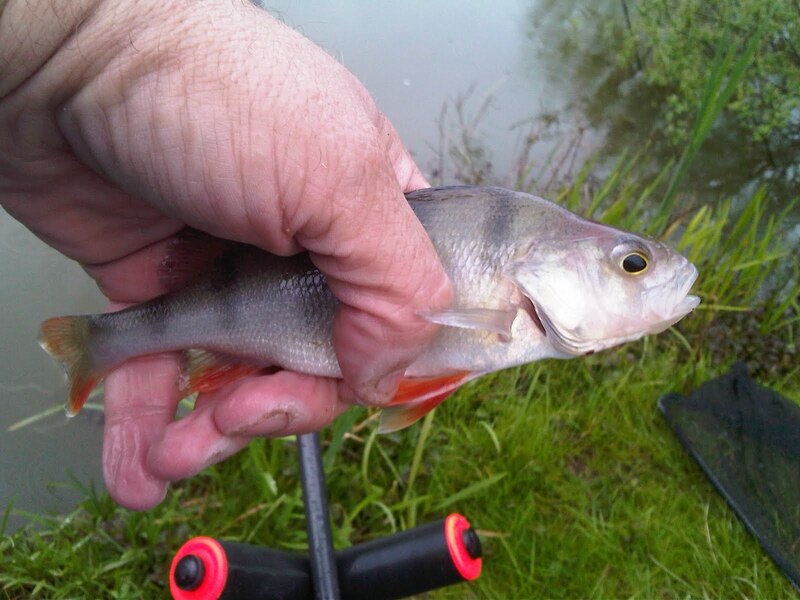 The Ivel is particularly close to my heart and for fishing information, why not have a look at the Ivel Protection Association website. Please let me know what you think and some ideas for other comics to feature would be very acceptable. I am currently researching another piece on Charlie Drake, soon to be followed by Will Hay. I hear on the radio tonight that the Villa are to appoint Alex McLeish as their new manager sometime on Friday morning. 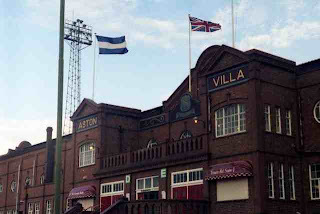 As you are aware I have little (or no) time for the Villa, but this surely is a mistake. The fans will hate him and the style of football he gets his teams to play, will not go down well there. Let's go back to the good old days when I used to operate a daily racing bulletin. 4th day of Royal Ascot today and I like the look of Eternal Heart in the Queen's Vase. Mark Johnson's filly has won well previously at Sandown and Musselburgh and comes here in good heart. Only thing that worries me is that idiot Joe Fanning in the saddle, but let's hope he's only needed to sit on top and lets her get on with the intelligent bit. OK, that's all for this bulletin. Tatty has turned off the lapdog! Hello my friends out there in bloggo land, I hope I find you all in fine fettle. So the manager nonsense goes on at Vile Park. They have decided they don't want Steve McClaren (who I believe is to replace the sacked Billy Davies at Nottingham Forest) and Rafa Benitez (or did he decide he didn't want them?). They then started talking to Roberto Martinez from Wigan who, for whatever reason (probably financial), decided he wanted to stay at the DW Stadium. Can you believe this? The average Bluenose (or at the least the one or two with use of the braincell today) are going to go scatty, not to mention the Vile fans (no braincells to worry about there). What sort of message will this give, get relegated and get a bigger club maybe? The football world has gone loopy. VILLA AND RANDY LERNER - YOU HAVE TOTALLY LOST THE PLOT IF YOU MAKE THIS APPOINTMENT! To be honest, I find it totally amusing to see the Vile making complete a***holes of themselves as usual. Next stop Championship football in 2012. I have been somewhat busy this week with different projects, but I have written and had published a couple of new works. Are British Lady Jockeys as Good as Men? British Comedy Greats: Larry Grayson. Tatty is now having his tea and has discarded the lapdog! The interesting cricket story to come out today (apart from England's Matt Prior getting into trouble for breaking a window at Lord's yesterday), is the fact that banned Pakistani fast bowler, Mohammad Amir, played in a village match in Surrey at the weekend. He claims that the club he played for, assured him it was a friendly fixture and was not under the umbrella of the ICC (International Cricket Council). But that body is now to investigate the matter with further sanctions possible. "Boring" Bob Willis (former England captain), came out on Sky Sports News today saying he was absolutely staggered and the ban should be extended (I'm amazed that he managed to stay awake long enough). Maybe so, but was there any real harm caused in him playing? It would have given the other players a thrill to play alongside him and a nice surprise for anyone watching. OK, so he has a worldwide ban, but surely this should be just at International and First Class level? I'm sure many readers will disagree with me about this. Tell me why I'm wrong (and if you are reading this Bob, we'll help you now to go back to counting your sheep. 1-2-3-4 zzz!). 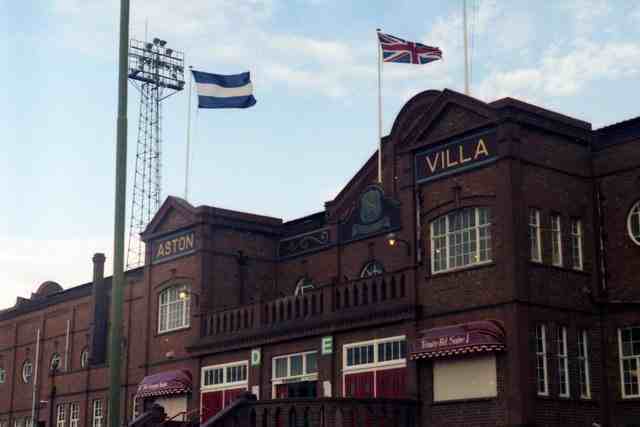 Soon to be Benitez Villa? There are stories emerging today that Aston Villa (or the Vile as I know them), are soon to appoint former Liverpool and Inter Milan boss, Rafa Benitez as their new manager. I'm sure the Spaniard is a very nice man and will do his best for the stumbling, almost giants, but it would be an inspired appointment I would say - a 2nd rate manager for a 2nd rate team (you gotta larf ain't yer?). Also I notice Wolves have knocked down one of their stands, in readiness to build a new one. A suggestion, why don't they just flatten the whole damn place and build something useful, like a car park. Off now for a rubdown with the Sporting Life. Tatty is now away from the lapdog. I heard the very sad news this morning that the enormously talented musician and songwriter, Andrew Gold, had died at the very premature age of 59. Just a quick run through of a few newish articles I have recently had published, some of which may be of interest. outlining the previous and current grounds of NORWICH CITY * SOUTHAMPTON * MILLWALL. Fresh from her appearance on "Dancing With the Stars," Stevie Nicks has released her new album "In Your Dreams" to critical acclaim. A selection of four Beatles’ songs, covered by other artists. Colditz and Sherlock Holmes star, Edward Hardwicke has died, aged 78. To celebrate the Queen's 60 year reign, a new British city is to be created. Why are public holidays known as Bank Holidays in the UK?